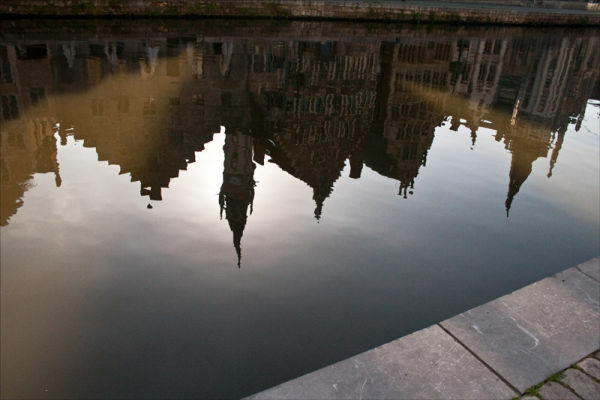 Ron and Maggie Tear Photography: Reflections, Ghent. Early low light casting rays across one of the many canals of Ghent. Reflections of the historic architecture to.